The above picture was taken three years ago when we were a newby caravaning family with two young children and a small baby. This was only our second trip away in Connievan, a two night stay at a beautiful caravan park in the Yorkshire Dales only half an hour from home. I remember it being a glorious weekend where we lounged about doing very little in the heat of early summer. Long golden days, lush green hills, a cool shallow river. Ice cold beer, colourful relaxing crochet, happy outdoor children. Good memories. Three years on and it has suddenly become surprisingly hard to make caravan holidays actually happen. I think we all still love the idea of spending time in the caravan, but the planning/organising part of it is just a bit too much hard work. The unpredictable weather doesn't help either (oh that wet week in Blackpool last year was a bit dire! ), but mainly I think it has simply become easier to Stay Home. I wrote about our Stay Home holiday recently, the week where I really wanted us to be away in the caravan but had failed to actually book anything in time. The week where every other member of my family said they preferred to be at home actually. Oh I stropped. I ranted. I sulked. Then I re-grouped and gave the whole dilemma some serious thought until the answer slowly presented itself to me. What we needed was a permanent home for Connievan, somewhere beautiful and rural, but close enough for us to drive to at the drop of a hat if the whim suddenly took us. If the weather suddenly looks tippety-top then we can sling a change of clothes in a bag, grab some grub and head off. Just like that. We need for it to be easy. We need the chance to be spontaneous. No planning. No booking. Just up and go. I knew this particular site would fit the bill perfectly as I had (secretly) made inquiries about it last year. But it was the money you see. This sort of thing does not come cheap, one has to pay quite dearly for the privilege of renting out a permanent little patch all year round. And yet.....after much discussion, we decided we could dig into our savings and it would be worth it. What the heck. Let's do it, lets splash out a bit and really make this work for our family. Yayyyy!!!!!! .....and we have the rustle of the wind in the trees behind us. Those of you who have been visitors to the Attic for a while will know all about my complete devotion to Connievan. You will know about my prettifying exploits (see here and here for pictures). You will know about the early beginnings and about our adventures in her. I am still as excited about all things Caravan and just adore spending time within these four small walls with my family. It's pretty damn marvelous! Last weekend, we had out first proper sleep over with Connie in her new home. I packed up a few clothes and a cool bag of food and on Friday evening at 6pm we set off. By 6.30pm we were there, and I was strolling around picking flowers to put in my jam jar vase. The weather was absolutely breathtakingly perfect. Sunny and warm, with the daylight lasting forever. We cooked hot dogs for dinner, with a plate of strawberries and melon for afters. J and I sat outside to chat and drink beer and the Little People went off to play. There is a lovely children's area on site with swings, slide etc, plus a green field where they played ball, tennis and frisbee. As a treat we also bought Swingball which has been a great success, and we took scooters with us too. So there was plenty to keep them happy and occupied. Sleeping in Connievan is snug and cosy. We find it easier to all go to bed at the same time (including an over excited/over tired Little B) at around 10pm. J and I make up our double bed at the front of the van and we have the luxury of sheet, duvet and feather pillows. The Little People sleep at the back of the van in (newly purchased, stripy blue) sleeping bags. The seating at the back makes up into a double bed where Little Man and Little B sleep head to toe, then there is a narrow bunk which pulls out above them for Little Lady to bed down on. It can sometimes be a bit tense getting everyone to settle down and off to sleep, but mostly it goes ok. And thankfully we all seem to sleep well, waking around 6am. I had to show you this photo, I really LOVED that Little Lady went to such effort to pack this all up into a big bag to bring for the weekend. All the drawers and cupboards were stocked with food and equipment (I was given the full tour) and the playmobil family had a lovely time camping alongside us. The highlight of the weekend was undoubtedly the outing we had on Saturday, walking from the caravan site to the nearest village to have a pub lunch. The countryside was looking absolutely glorious, I just love this time of year so much. Green and gold, sun light and shadow. Everything is so light and bright and lush. Oh and there was such an abundance of buttercups! I could hardly believe this field, it took my breath away. The walk to the village was 1.5 miles of flat riverside and meadow. ....they were just soooooo beautiful. It's a good few years since we'd been to this little village and I couldn't remember it very well. I recalled a village green, and a small pub, but not a lot else. ....and yup, there's the pub. It's called The Falcon Inn and is an absolute original gem. It was a delight. There was a simple menu and great, honest, homecooked food. The country kitchen was pretty open to view, with the landlady cooking everything herself on the Aga while her hubby served the beer from a tiny bar area in the hallway. The beer was poured the traditional way straight out of the barrel into a china jug before being poured into the glass. It was a very memorable lunch (who knew pea and mint soup was soooo good?!) and we left feeling satisfied, rested and happy. This wasn't a circular walk, so the return home was back the same way we had come. ....sneezing all the way! Yeah, there was a serious amount of pollen in the air here, but honestly the beauty of it more than made up for the discomfort. We returned to the caravan site in the mid afternoon, with the promise of ice creams from the on site shop. Happy happy. We have our old portable barbecue at the caravan and the dry stone wall which runs behind Connievan makes a perfect outdoor cooking area. That evening we cooked up burgers (delicious ones from the supermarket flavoured with smoked garlic, they were really good) and I made a big bowl of salad to go with them. Fruit and chocolate for afters. And a little more beer. Your studio is so homey and cozey looking....feel proud in your accomplishment of making your beloved hobby something to share with others. I live in Texas (USA) and love reading your blog, seeing the colorful photos and simply enjoying your activities via the web. My head fills with ideas as I browse your projects. An avid "hooky" myself (in crochet), I look forward to future studio posts and wonderful results. Blessings to you and your friends! Ah yes, this is the answer. We have a van parked near a beach; we go to the van whenever we can. We are getting to know others around us who do the same and we are beginning to think of the beach as 'ours'. Looks like you had a lovely time and how nice to have a caravan of your own to retreat to! I love your crochet blankets on the seats too! Oh I love it so much!! Your caravan looks so happy in her new little home. It's wonderful to read about the Connievan! You have been a little ray of inspiration and we've just bought a tiny caravan to see what it is all about. Our first trip out was idyllic and very Connievanesque, but our second trip wasn't as good. (grumpy 10 year old and housing estate type site...yuk) We are quickly learning what kind of sites to look for..small and simpler being more to our taste :o) I look forward to hearing how the more permanent move works out for you...sounds even simpler! Sounds like you all had quite a good time! The village is sweet, for having not much! Loved your pictures. Continued prayers that your hand heals. Yay! That's a great idea! I'm so glad you've found a way to make the trips easier. It looks like a wonderful time! Your trip is breathtaking! Those meadows are so welcoming... so bright and sunny! Blessings to your family and to have many many more such joyful tripsa ahead! I am so glad Connie has a spot so convenient for those family outings. Yes the children will always remeber these times. ♥♥♥♥ ... sigh... and swoon. Just love it. I LOVE that Little Lady bought along a playmobile camper, what a fab idea :D My little brother had playmobil when we were kids & it was my favourite thing, we didn't have a campervan but he did have Pirates. Yarrrr! I'm sorry to hear about your hand pain. I had a similar problem just after xmas and I was pretty upset because I thought it was here to stay. Actually, I thought of how much hooking you do & I wondered how you were okay & I wasn't - I hope I didn't jinx you there! 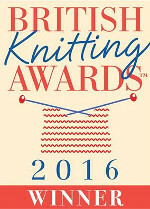 Right, I'm off to carry on with my yarndale bunting :) Take care! What a neat idea-bringing her close enough to pop out at a moment's notice. So wonderful for the family, Lucy. I hope your hand and head are improving as the days go by and that soon you are right as rain again. Lucy, Connievan's new home looks beautiful. I'd love to find a spot like that here in NZ for our vintage van that we're doing up, you have given me lots of inpsiration from pics of Connievan and your hooky too! What a delightful post - So glad you found a place for ConnieVan - looks wonderful. So does the Corona - have you tried sticking a slice of lime in the top?....emmmm good. Amazingly beautiful countryside - and to think that your littles don't mind the long walks. It was a great idea, and I'm glad you thought of it. Wonderful, what a perfect place for Connievan and all the happy times you will share. I'm happy your caravan has a new home and you and your family are loveing it. We are also caravaner's, we try to go every weekend. We are in holland, our caravan is in the Flevopolder which is pretty but i miss the english country side very much. But we do have deer walking around at night which is quite amusing. Best of luck with you finger.